I’m fascinated by bands that almost made it. That isn’t even a fair statement — if their music somehow made its way into my ear holes, they “made it,” yet they are considered also-rans because they aren’t swimming in fame and fortune twenty years later. 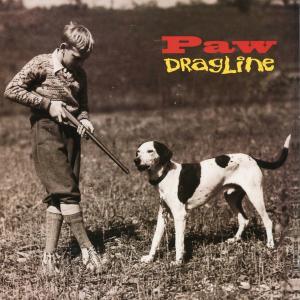 So when my editor over at Diffuser asked me to write up Paw’s Dragline on the anniversary of its 1993 release, I was all over that action. If you loved the grunge era but have heard enough Soundgarden, Nirvana, Alice in Chains and Pearl Jam, ask your doctor if Paw might be right for you.